Not all wisdom teeth have “wisdom.” Even though they may not be bothering you now, there are several reasons to have those teeth removed before an actual problem crops up. 1) Are they causing problems for you now? Problems, meaning a cavity or soft tissue irritation that can cause rough mouth opening, It may not currently be an issue for you, but it can develop into a problem later. 2) Can you clean them well? The incomplete eruption of the teeth into the mouth can create pockets of tissue that collect bacteria around your wisdom teeth. Their position at the back of your mouth can make them really hard to clean too. It is imperative that you can thoroughly clean your wisdom teeth (and the rest of your teeth) because infections involving the wisdom teeth are a leading cause of multi-space infections, which can spread to the head and neck. 3) Are they fully out already? Due to their location and the time of the eruption, usually between age 17-25, often there is not enough room. When that happens, wisdom teeth may erupt into places where they are interfering with the normal jaw function. This interference can cause pain in the TMJ (the joint of your jaws) later on. Also, you might not be able to open your mouth completely. 4) Any opposing tooth contacting your wisdom teeth when you bite? Not everyone has all 4 of their wisdom teeth. There are many cases where wisdom teeth grow in the mouth without a tooth in the opposite arch to come in contact with during biting. This may not seem like a problem; however, without that feedback, a tooth can super-erupt (growing higher than the teeth alongside) and cause occlusal interferences. They might also rub against soft tissue and cause irritation. 5) Is it impacted? Such situation can create soft tissue pockets, depending on the degree and direction of impaction. Not only that, the wisdom teeth can push the roots of your other healthy teeth causing resorption (the root disintegrates). Everyone can notice a problem when there are active symptoms. However, if there are signs of an impending problem, why wait? Another good reason to decide earlier rather than later is that the bone around your teeth will mature. This might make them harder to remove as you get older. If you have symptoms, or would simply like a consult, please contact our dental offices in Centreville or Arlington today. 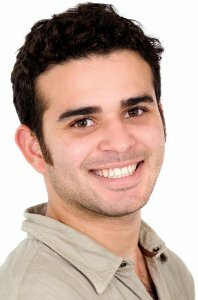 Our dentists at Relaxed Dentistry will provide feedback on the steps to removing your wisdom teeth.